Is your dream to experience Tuscany in a Ferrari, drive the most scenic routes, and stay in the most luxurious hotels? 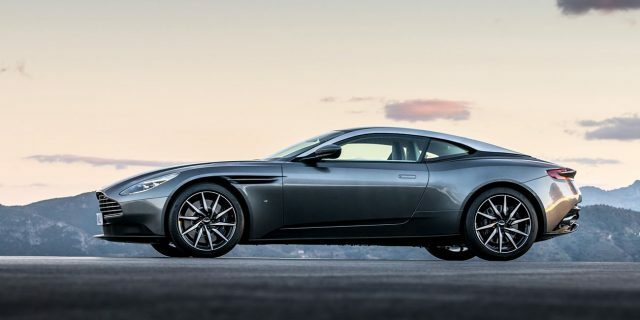 Our supercar driving holiday in Tuscany might be something for you. Our luxury driving tour Tuscany & Porto Ercole is a scenic drive that starts in Florence and takes you on a journey with 3 days of driving and 4 nights in five star hotels – some of the best ones you can find in Tuscany. The daily drives are designed so you can stop in beautiful places along the route, and see as much as possible of this beautiful region in Italy. 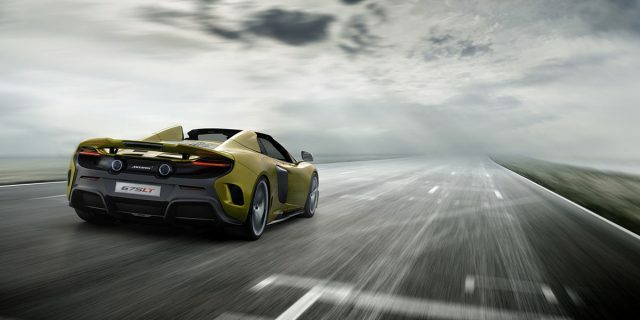 The overall tour distance is about 680 kilometres, and during three days you will spend about 3½-4½ hours each day driving the supercar of your choice. 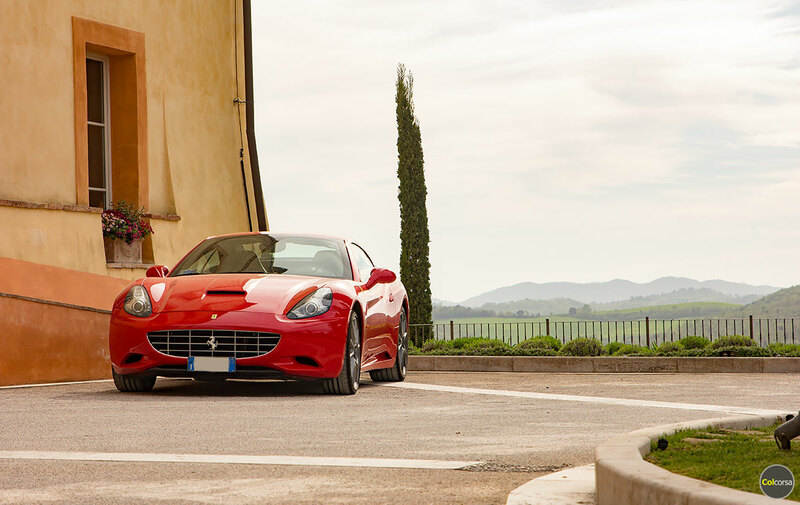 This gives you plenty of time to enjoy both the car and what Tuscany has to offer. Many people wish to tour Tuscany in a Ferrari – but if the Maranello born supercar is not your preference we have other supercars to offer. Perhaps you would prefer to drive a new Lamborghini instead, or if you are looking to spend a little less you might want to look at our Alfa Romeo 4C or Porsche. Click on the image below to get to the tour page where you can find the package prices with each car – with an Alfa Romeo 4C it starts from €5,280 for two people (route planning, car rental for three days and four nights in luxurious five star hotels included). 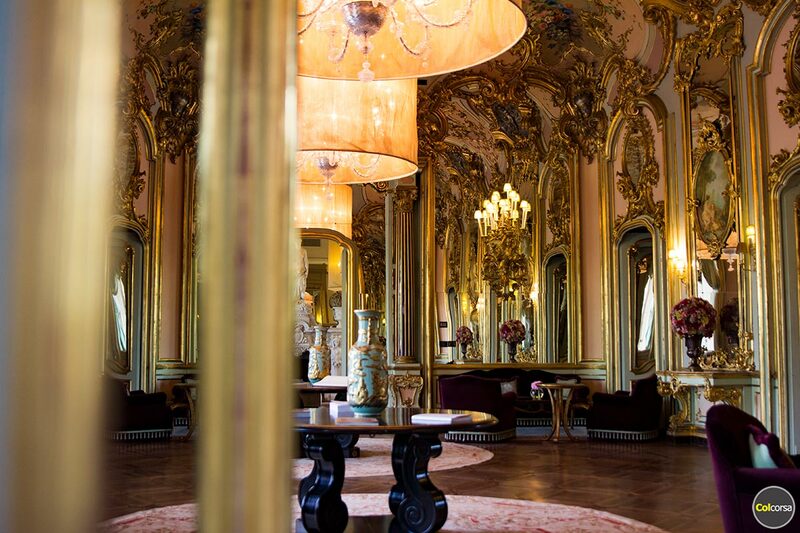 The first hotel you will arrive to is Villa Cora in Florence. 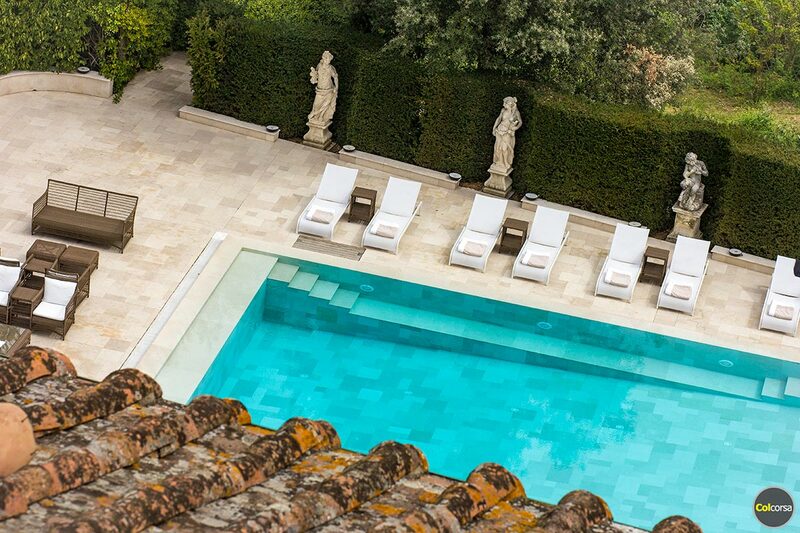 This breathtaking hotel is located in an upscale area of Florence, known for its beautiful and expensive residential villas. The 19th century villa is overlooking the Boboli Gardens, and the Ponte Vecchio bridge is a 2 km walk away. Day 2 – Tuscany in a Ferrari? Or what car shall we deliver? The next morning your car will be delivered to the hotel. 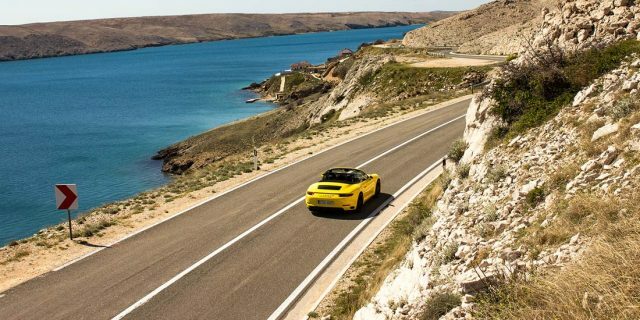 If you picked the popular choice – spending your holiday in Tuscany in a Ferrari – or some other supercar marque is up to you. We will give you a briefing about the car and the drive for the next days, so you know where you are going and what to expect. You can find all information in your roadbook, and the route for each day will be pre-programmed in the GPS, so the only thing you need to do is to follow the navigation – and enjoy the journey. We wanted to design a tour that will show you how diverse the landscapes in Tuscany are. Many people think the most beautiful areas of Tuscany is Florence and the countryside with vineyard landscapes, but the coastline of Tuscany is incredible as well. 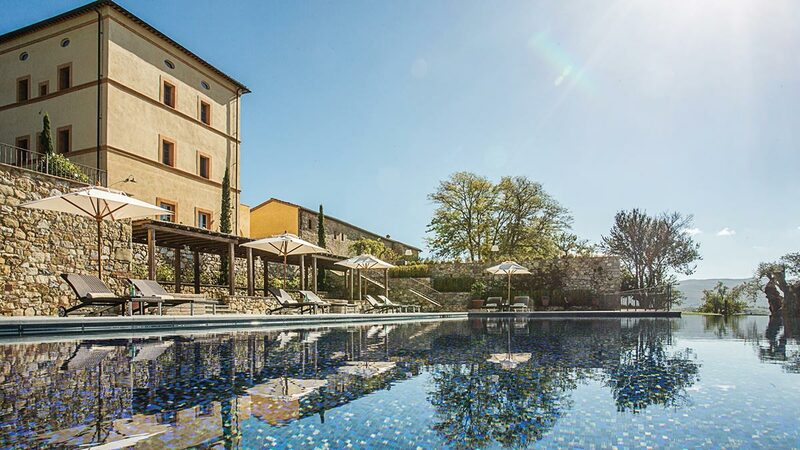 For that reason we want you to check-in to one of the most beautiful hotels in Tuscany – 5* Hotel Il Pellicano in Porto Ercole. The hotel overlooks the Tyrrhenian sea and the view from the hotel is absolutely breathtaking. Although the drive from Florence to Porto Ercole is a really nice one, with winding roads through typical Tuscan landscapes, we really believe the highlight of the day will be when you arrive to Il Pellicano and relax with a drink on their terrace. The hotel restaurant has a Michelin starred chef and a very impressive wine list, so there should not be any need to leave the hotel grounds that evening. Enjoy your stay. 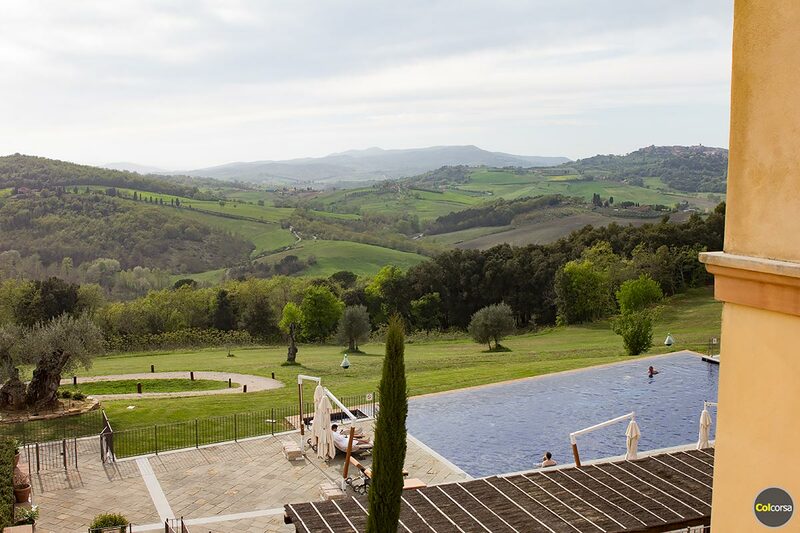 The second drive takes you through the Tuscan countryside back north, where your final stop for the day will be five star hotel Castello di Casole in Casole d’Elsa, 30 kilometres from Siena in Tuscany. 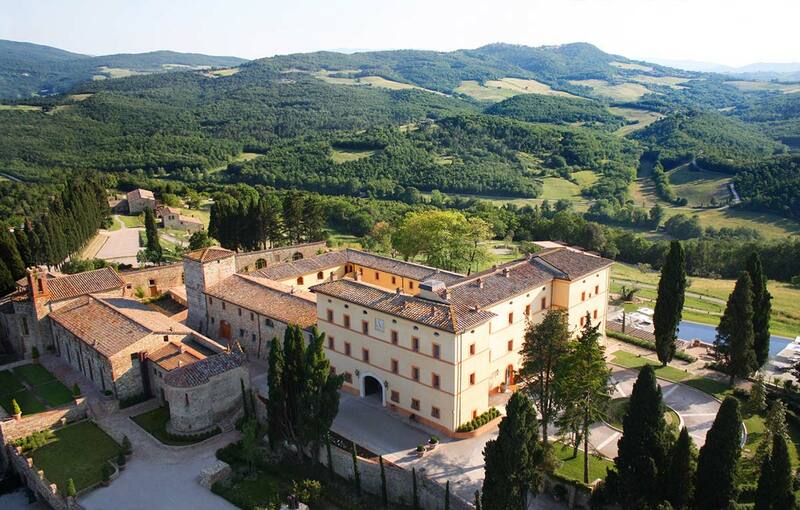 This 10th-century former castle situated in the picture perfect Tuscan countryside has 39 different suites and penthouses, as well as 28 villas and farmhouses spread over their 4,200 acres grounds. The hotel has a heated infinity pool – with a view! That evening you can choose to have dinner in one of the two hotel restaurants, or if you are a foodie looking for something really special you might want to transfer to Ristorante Il Colombaio, less than 10 kilometres from Castello di Casole. This restaurant is a 1 Star Michelin and considered to be one of the best restaurants in Tuscany – regional food with a modern touch. If you are one of those who like to check Michelin starred restaurants off their list, we want to tell you that there is one with 2 Stars that serves lunch en route to Castello di Casole from Porto Ercole… If you would rather have lunch in some typical less fancy local place, we have some great recommendations after several trips to Tuscany. How about a place that serves some really good Fiorentina steak – so good that the restaurant is always filled with locals? You are not going to check-in to the hotel hungry, we can guarantee this. The last drive that takes you back to Florence passes by Siena, if you would wish to park the car and take a stroll in this beautiful city. Piazza del Campo in Siena is regarded as one of Europe’s greatest medieval squares, and twice a year there is a horse race called Palio di Siena held around the edges of the piazza. For the foodies looking for more mouthwatering culinary experiences we can confirm that Siena has a great selection of restaurants if you wish to have a lunch stop there. If you instead want to have lunch en route there are several options to choose from – it is Tuscany after all, some people go here just for the food! On the fifth day the tour is over and you are allowed to leave Florence – but only if you want to, of course. Perhaps you wish to extend your stay with one or a few nights, so you have more time to explore everything the city has to offer. Leaving Tuscany is difficult, we know that. But that is why we always go back. 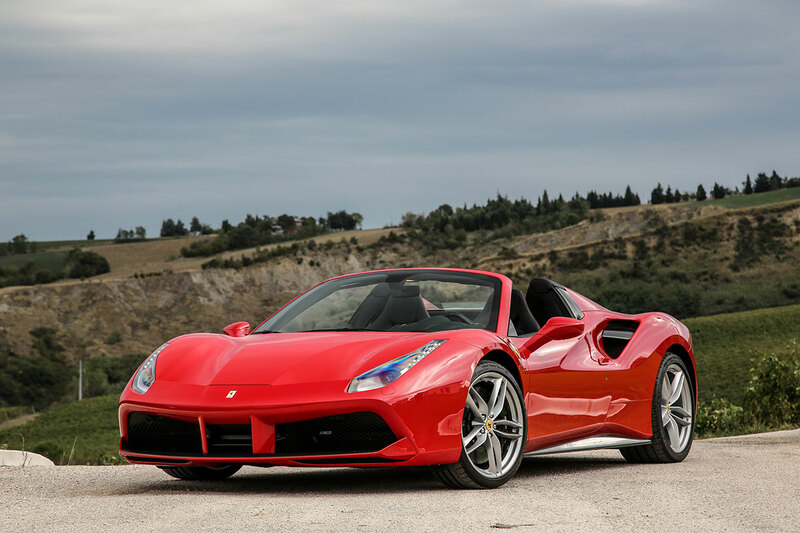 Ferrari 488 Spider (2-seater convertible), Ferrari 488 GTB (2-seater coupe), Ferrari 458 Spider (2-seater convertible), Ferrari 458 Italia (2-seater coupe), Ferrari 458 Speciale (2-seater coupe), Ferrari California (4-seater convertible), Ferrari California Turbo (4-seater convertible), Ferrari F12 berlinetta (2-seater coupe), Ferrari FF (4-seater coupe) and new for this year also the Ferrari GTC4 Lusso (4-seater coupe). We also have the most recent models of other supercars, for example Lamborghini – check out the full list of cars on the Tuscany & Porto Ercole tour page. 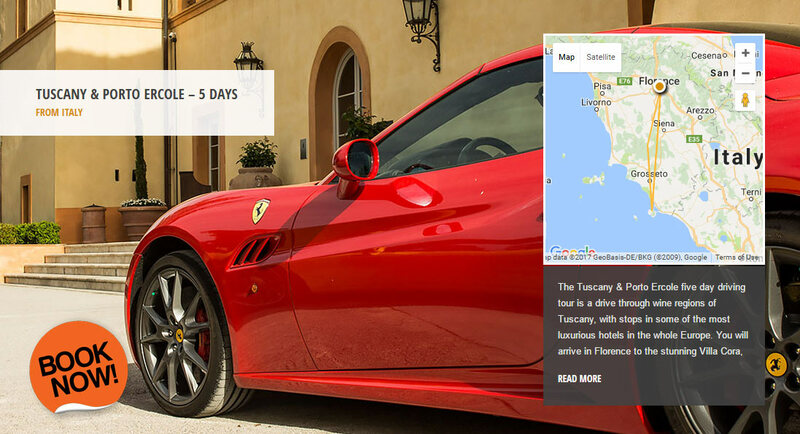 What do you think, does not this sound like the perfect driving holiday, to drive around Tuscany in a Ferrari and stay in superior hotels only? We think it does! And if you think three days of driving is not enough we would be pleased to extend your itinerary and design a custom driving tour, so you can get more days in this beautiful region of Italy. 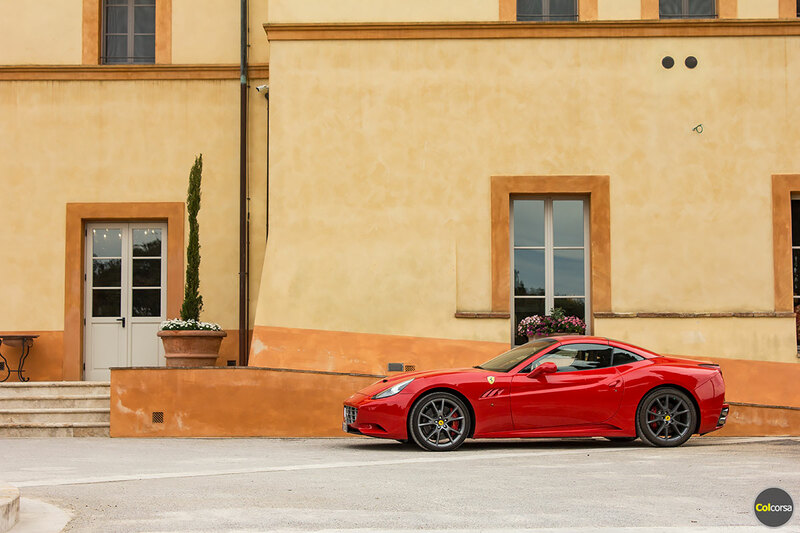 Contact us and describe your perfect Tuscan supercar holiday – we are here to help you make it happen.